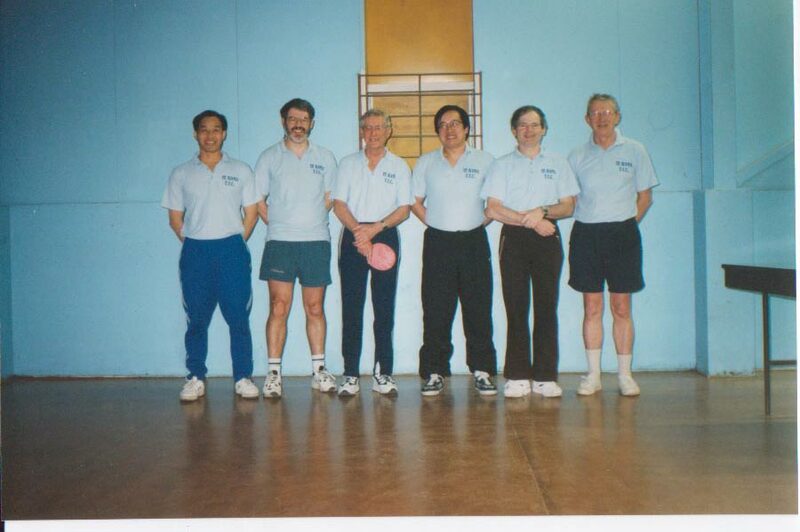 In 1950 Brian (then 15 years old) joined the Technical Table Tennis Club in Wellington. There were 2 tables in the Technical Old Students Tennis Pavilion in Taranaki Street, which is today occupied by Massey University. On Sundays Brian would often play from noon to late at night. He recalled that players had to prove they were a certain standard to join the club. There was a limit on the membership and good players were asked to join the club, rather than the other way around. The Technical Club was formed in 1936. The Club has won 32 Wellington interclub titles including 6 A Grade (1939-41, 1943-44 & 1946). The A Grade team included Frank Mooney, Wellington’s top ranked man (1943) who was also a wicket keeper in the NZ Cricket Team (1949-54). The W M Jackson Shield (Most interclub points) was won twice (1946 & 1977). The Sportswear Model Trophy (Highest point average for 3 nominated teams from a club) was won 6 times (1974, 1977, 1981, 1987, 1989 & 1990). The most interclub teams entered were 11 in 1971 & 1977. Club members were involved in several notable achievements. Max Gosling was selected for the first ever NZ Team in a match against the touring Hungarian Team (1938). Eric Boniface was selected for the first NZ Team to travel overseas (1939). The team travelled to Australia for matches against state teams. John Crossley and John Stewart were in the first NZ Team at the World Championships in Budapest, Hungary (1950). Crossley won the first international title by a New Zealander when he won the Scottish Open Men’s Singles held in Edinburgh (1950). Gosling (1939), Boniface (1940-41) and Crossley (1944) were ranked Number 1 in Wellington and all won the Wellington Open Men’s Singles. Crossley was North Island Men’s Singles Champion (1949). 29 New Zealand Open Titles were won. The first was achieved in 1940 when Dawn Croxton won the Women’s Doubles with Leonie Kennedy, and the Mixed Doubles with Max Gosling. This was the first year of the NZ Inter-Association Teams Championships and Wellington won both the Men’s and Women Teams Title. Club members representing Wellington were Max Gosling and Eric Boniface (Men) and Leonie Kennedy, Dawn Croxton and May Wareham (Women). In 1950 Club members were in all 5 NZ Open individual finals. John Crossley lost to Bob Jackson (Auckland) in the Men’s Singles. John won the Men’s Doubles with Neville Brightwell (Canterbury). Margaret Hoar won the Women Singles, Woman Doubles with Thyra McGregor, and the Mixed Doubles with Owen Jaine (Auckland). As well, Murray Dunn won the NZ Under 16 Boys Singles that year. Murray was to win a record 9 Wellington Open Men’s Singles and also 4 NZ Men’s Singles (1960-63). Margaret Hoar was the number 1 ranked Wellington and NZ Woman (1949-50) when she was at the Club. She was the Wellington, North Island and NZ Women’s Singles Champion in those years. Christine Beasley (nee McGregor) was the number 1 ranked Women for 7 consecutive years (1973-79) and won 10 Wellington Open titles including 5 Women’s Singles (1973-74, 1976-78). She was also an excellent tennis player and won the Wellington Tennis Open Women Singles (1979), achieving a unique tennis/table tennis double. In 1967 the club moved to the Te Rama Tennis Pavilion in Kilbirnie when the Technical Tennis Pavilion had to make way for new buildings. In 1972 the club changed its name to Te Rama to meet city council requirements to stay at the site as the tennis club had folded up. In 1984 the club moved to the Kilbirnie Gym due to the Aqua Centre being built where the Tennis Pavilion was. In 1985 the club moved to St Giles Church Hall and later to the Newtown Stadium. A team was last entered in interclub in 2001. Brian Hearfield started off in F Grade and was in C Grade the following year. He played mainly in B grade. He recalls filling in at A Grade interclub and playing Murray Dunn, Geoff Jennings, John Crossley, Ron Foster and Ivan Houghton. In 1956 at the Hutt Valley Open, Brian and Bill Stewart (both C Graders) upset Mike Beder/Stan Ferguson ( NZ Boys Doubles Champions 1955) to reach the quarter finals where they lost to the top seeds, Murray Dunn/John Crossley (NZ Men’s Doubles Champions 1954). Brian has been in 9 Technical/Te Rama winning winter interclub teams (See below). Brian had the highest interclub average in B Grade (1990, 1991 & 1993). His best result was 37 wins from 39 matches (94.9%) in the B Grade (1985, 1990). He won the B Grade Singles (1966) and the B Grade Doubles with David Fry (1965) and Bruce Mills (1966). 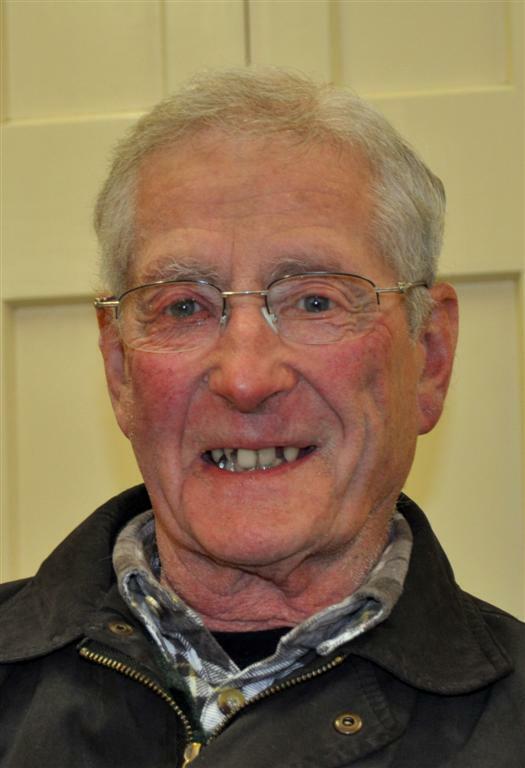 Brian represented Wellington in the annual match against Hutt Valley 7 times. C Grade (1959), B Grade (1965, 1966, 1974, 1989, 1990) and B/C Grade (1993). Wins were achieved in 1959 (7-5) 1965 (10-2) 1966 (9-3). He donated the Brian Hearfield Cup for the B Grade Singles at the Wellington Grade Championships. The first winner was fellow club member Henry Anastasi in 1989. Brian has been Secretary, Treasurer and Club Captain for the Club. He served on the Wellington Committee (1962-77) and (1992-2009). He was a long serving member of the interclub subcommittee and chaired it when there were 167 interclub teams. Brian was the Secretary/Treasurer (1999-2001) and Secretary (2002-2009). He was a regular sight on night duty at interclub. Brian is a Life Member of the Te Rama Club (1980) and the Wellington Association (1994). Brian played cricket for Institute Old Boys, Wellington South Institute, Technical College Old Boys and Onslow. His 1971-72 Onslow team included Trevor Mallard (Labour Member of Parliament since 1984 and former Minister (1999-2008). He was a batsman/wicket keeper with a highest score of 85 not out. Brian was in three winning teams: Technical College Old Boys 3B (1958/59); Technical College Old Boys 5th Grade (1960/61); and Onslow 3C (1972/73). 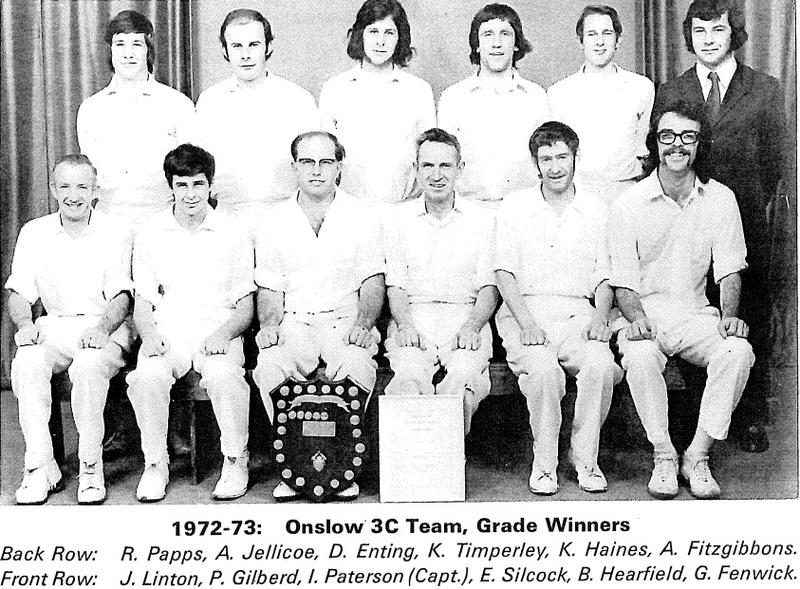 The Onslow 3C Team also included a young Kevin Haines, the current TTW Treasurer. 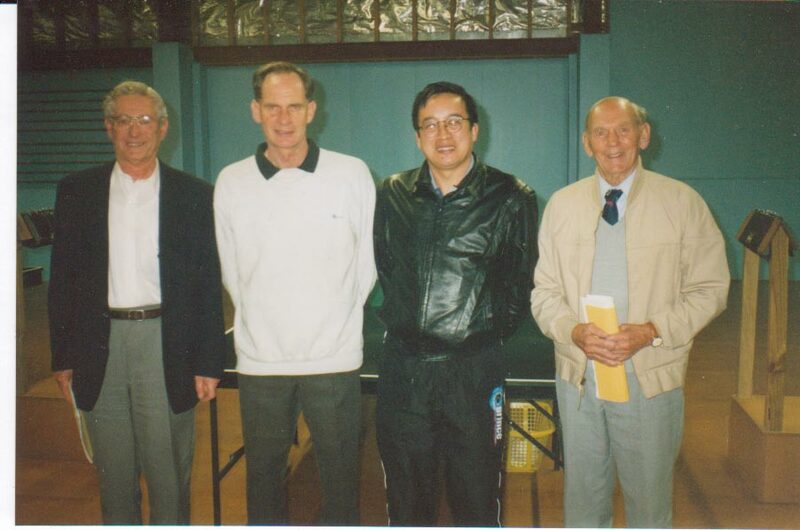 Martin Young, Roger Watkin, Brian Hearfield, Malcolm Wong, John Lister and David Robinson.